About: Ben Nevis is the highest mountain in the British Isles. The mountain is particularly popular with walkers due to the well-constructed mountain track from Glen Nevis on the south side of the mountain. Climbers and mountaineers can enjoy some of the best rock and ice climbs in the country. About: The area around Loch Ness features picturesque towns and untamed wilderness, with breath-taking rolling hills surrounding the world-famous loch that is home to the legendary Loch Ness monster. About: The Culloden Visitor Centre, which stands beside the battlefield, features artefacts from both sides of the battle and has interactive displays that reveal the background to the conflict. About: Glencoe is Scotland’s most famous and scenic glen, and arguably Scotland’s most historic glen. Glencoe is not only a holiday centre for hill walking and mountaineering but is also the perfect base to explore the Highlands. About: Glenfinnan is famous for several reasons, but perhaps it is most renowned for the Jacobite gathering in 1745, when Bonnie Prince Charlie rallied 1200 Highlanders. 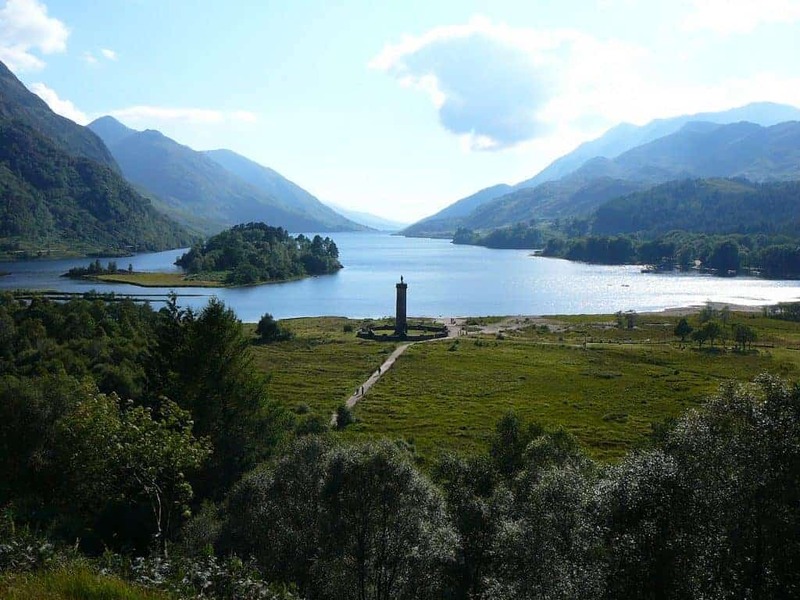 The memorial at Loch Shiel is clearly visible against the Glenfinnan viaduct, made world-famous as the setting of Harry Potter’s Hogwarts Express train journey. About: Inverness Botanic Gardens are an oasis of calm within walking distance of the busy city centre. The glasshouses contain plants from tropical rainforests and hot deserts, while a waterfall pours into a pond filled with Koi carp, surrounded by bird of paradise plants and orchids. Opening Times: Tuesday – Thursday 12.00-16.00, Friday-Saturday 11.00-16.00. About: The Inverness Museum and Art Gallery aims to teach visitors about Scottish history while also showing how the Highlands are linked with the rest of the world through informative displays. After browsing the collections you can relax in the café or browse the extensive shop. Address: Balmaha, Glasgow, Lanarkshire, G63 0JQ. From Stirling- follow the A811 to Gartocharn. From Glasgow- take the A82 north to Alexandria, and take the Balloch turning onto the A811 to Gartocharn. About: There are a multitude of available activities at this nature reserve. You can take tranquil walks on a wooded isle, or head down to the loch shore in search of fishing osprey. There are also geese, wigeon, teal and shelduck to keep a look-out for, against a background of dramatic mountain peaks. Opening Times: The park is Open year-round. About: Lochaber Geopark boasts some of the best geology in the world, along with the UK’s highest mountains and deepest lochs. Outdoor adventure enthusiasts will love the mountain trails and the beautiful landscapes. About: This dramatic sea cave is set into limestone cliffs in Sutherland, and can be explored by boat or by the path from the car park on the cliffs. The cave boasts one of the largest entrances to any sea cave in Britain and is floodlit inside. About: Steall Falls offers a first-class walk below Ben Nevis and the surrounding mountains as it passes through the stunning Glen Nevis. The lower Falls are extremely impressive as they thunder below your feet under a bridge, and the Glen is particularly stunning with its carpet of wild flowers. About: The West Highland Museum’s collections tell the story of the region, its people and its history, and includes fascinating artefacts from the time of Bonnie Prince Charlie and the Jacobite uprising.